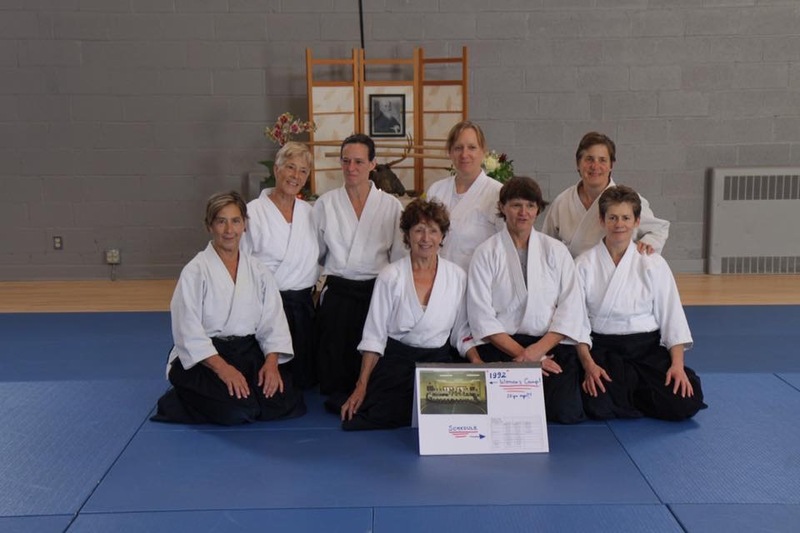 It was 1994 at Ghost Ranch, Albuquerque, New Mexico, 23 years since the last Women’s Aikido Camp here. 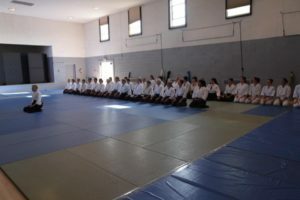 So, I thought that was long enough to wait for another great group of women aikidoists to learn from and train with eachother. From September 7th thru September 10th 40 women from all over the United States, from different dojo’s and different organizations came together in friendship to Santa Fe, New Mexico to practice aikido for 4 days. 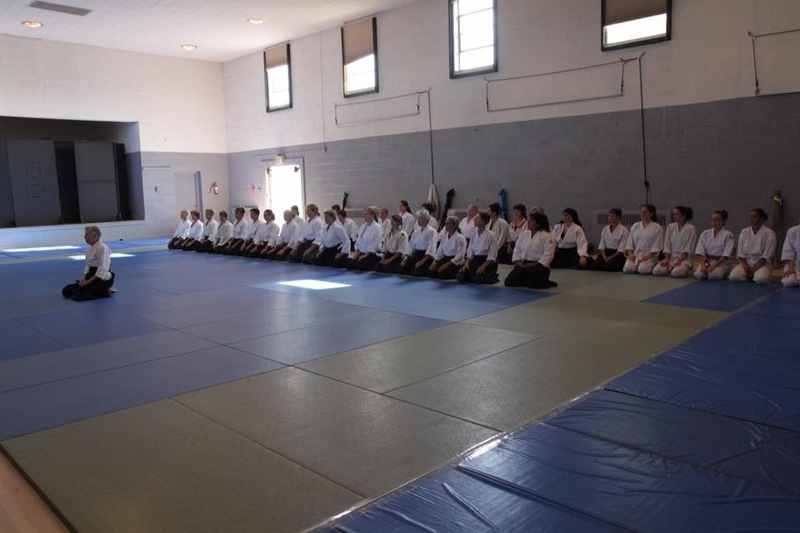 In the foothills of Santa Fe, at an old Carmelite Monastery (still active) we trained together, ate great food together, meditated together, exchanging ideas about our training, our teachers and the future of the next generation of women aikidoka. Women aikidoists will gather together again next year from September 13-16 at the same Immaculate Heart of Mary Conference and Retreat Center here in Santa Fe, New Mexico. 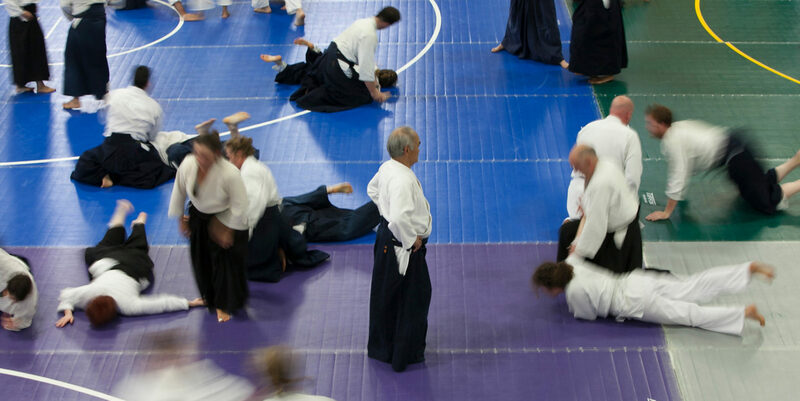 Come join us again or for the first time! 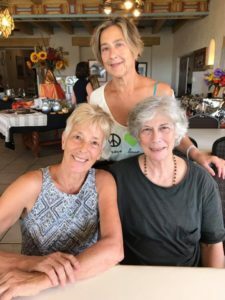 Gina Zarrilli, Lynne Morrison, and myself, celebrating my birthday during camp!